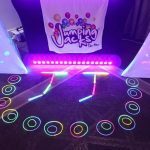 Optional Games; Limbo, Dance-Off, Lip Sync Battle, Boys Vs Girls Challenge, Music Quiz, Egyptian Mummy Wrap, Conga Line, Macarena Dance Off, Back to Back Game, Pick A Card Challenge, Catwalk Game & More! 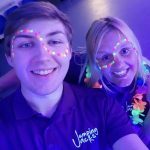 Under the UV lighting, clothing, shoes, laces and even teeth shine brightly, which not only looks awesome but is great fun too! 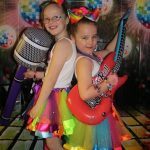 PLEASE NOTE: We do not throw paint, paint powder or do painted hand prints on children’s clothes. 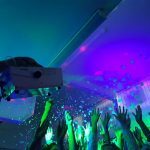 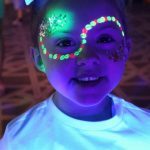 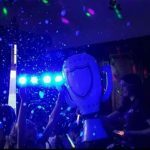 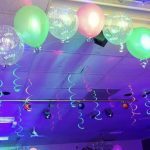 Our Glow parties are venue friendly, mess free and action packed from start to finish.